Interstitial Lung Disease (ILD) broadly describes a diverse collection of more than 200 lung disorders while tomography is a method of producing a three-dimensional image of the internal structures of a solid object such as the human body. 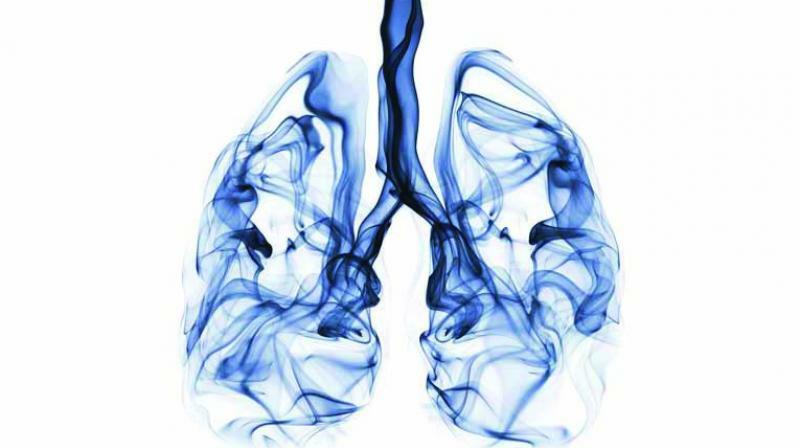 Kolkata: Researchers at IIT Kharagpur have developed a decision support system to diagnose malignant and other diseased tissues in the lungs. The system has been developed by the researchers of the Department of Electronics and Electrical Communications engineering of the premier institute. Lead researcher Sudipta Mukhopadhyay was quoted having said in an IIT KGP statement, "Biopsy especially in the lungs is a critical process, hence conducted only after initial medical analysis is done by expert radiologists. The developed system uses non-invasive and comparatively affordable methods of image analysis that would aid the radiologists to identify malignancy by reading growth in the lung nodules." The other system will help identify interstitial disease patterns in HRCT (High-Resolution Computed Tomography) images depicting the lung tissue texture, Mukhopadhyay said. The medical image scan database used for reference was taken from Indian patients and the IIT KGP researchers worked with a team from PGIMER Chandigarh for collecting data ground truth and clinical data. "Foreign database have also been used but the biopsy cases were primarily taken from the PGIMER," researcher Shrikant Mehre said in the statement. The ILD tool is developed by incorporating feedback from expert radiologists to make it easy to use for non-tech savvy clinicians. The software is equipped with necessary modules such as automatic segmentation of lung boundary and pathological region within lung area and the mapping of disease is performed by doctors based on clinical inputs, the statement said. "We have successfully tested both software systems at AIIMS Delhi....Currently our success rate is higher than 80 per cent in identifying both cases. We are working towards further improvements in order to conduct clinical trials on bigger sample sizes," another researcher Mandar Kale said. The research has been reported in more than 13 international journals and 19 international conferences through its various stages of progress, the statement said.